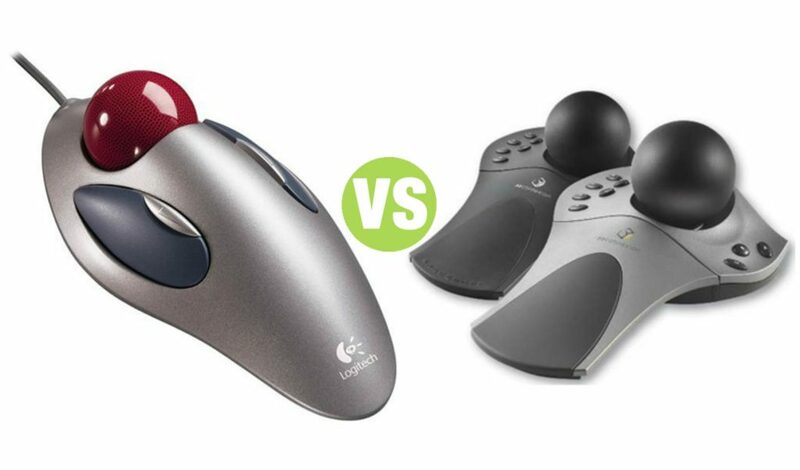 Summary: Difference Between Trackball and Spaceball is that spaceball is based on fixed spherical ball and spaceball is used as a graphical input device to enter any graphical data or information. While trackball is a stationary pointing device with a ball on its top or side. A trackball is a stationary pointing device with a ball on its top or side. To move the pointer using a trackball, you rotate the ball with your thumb, fingers, or the palm of your hand. In addition to the ball, a trackball usually has one or more buttons that work just like mouse buttons. Spaceball is based on fixed spherical ball and Spaceball is used as a graphical input device to enter any graphical data or information. At first, Spaceball was a series of graphical input devices that was developed by Labtec. Spaceball is now being used by different workstation including Silicon Graphics Systems. Input entered by Spaceball is recognized by the pressure on the ball, the direction of the ball and the orientation of the ball. By using spaceball complex objects can be moved and rotate in three-dimensional space.